Pickled and tanned reindeer leather items are semi-finished top-class products for the fashion world, top designers, and are perfect for the interior designs of luxury cars, planes and yachts. 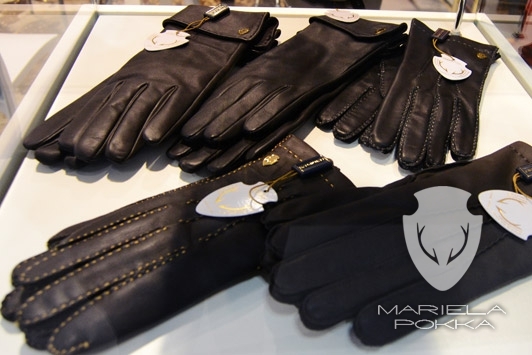 Reindeer leather is a durable and lightweight material. The preparation of reindeer and elk leather is done by hand using traditional methods, with machinery only providing mechanical assistance. The working of leather requires a wide range of expertise and professional skills. There are numerous working stages and preparation requires extensive know-how and competence. Each stage is important for ensuring the product boasts high quality and corresponds to our strict quality criteria. We are constantly training our employees: true quality is the outcome of years of learning that requires precision and commitment and devotion for the task. The northern dimension is an extra value that follows the product all the way to the consumer.